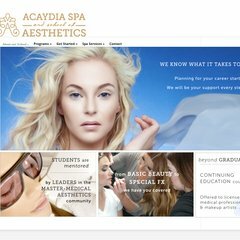 Topics: The Acaydia Difference, School Facility, Campus Life, Faculty & Staff, Programs, and Aesthetics. Singlehop Inc (Illinois, Chicago) is the location of the Apache/1 server. Acaydia.com's IP address is 184.154.226.4. There are 2 Nameservers, ns1.siteground188.com, and ns2.siteground188.com. PING (184.154.226.4) 56(84) bytes of data.